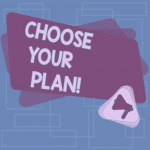 On this web page, you can choose among several TOEFL course plans. These TOEFL course plans are based on your current TOEFL. In addition, these TOEFL course plans will help you to achieve your target TOEFL score. Finally, these TOEFL course plans will help you to reach your desired subtotal reading, listening, speaking, and writing scores. These four TOEFL course plans form two categories: a monthly subscription and a non-subscription option. Furthermore, these non-subscription options group into three sections: 1, 3, 6, or 12 month; Speaking Boot Camp; and Writing Boot Camp options. If you do not currently have a TOEFL score. If you are unsure how long you will need to study TOEFL before reaching your goals. If you have taken the TOEFL iBT exam. If you have specific overall and subtotal requirements for the reading, listening, speaking, and writing sections of the exam. These courses have unconditional money back guarantees for the first 7 days. As a result, if any of these courses are not a good fit, you can ask for a refund. If you have already taken the TOEFL exam and know how long you will need to study, click here. If you need to score 24 points on the writing section. If you have already met the subtotal requirements in the reading, listening, and speaking sections. Like the other TOEFL course plans, this course has an unconditional money back guarantee for the first 7 days. You can ask for a refund for any reason. If you want to concentrate exclusively on the writing section of the exam, click here. If your sole aim is to score 26 points on the speaking section. If you have already met the required subtotal requirements in the reading, listening, and writing sections. Similar to all other course plans, this course has an unconditional money back guarantee for the first 7 days. If you only want to focus on speaking, click here. Currently, I offer two popular free services right now: a free speaking and free writing practice test evaluation. Find your current speaking level. See what kind of feedback I give my OTC students. You can only take ONE free TOEFL speaking practice test. Therefore, do your absolute best. I have scored more than 15,000 practice tests over the last ten years. As a result, I can quickly find your level from 0-30 points. In addition, I can tell you specifically what types of pronunciation, language use, and topic development problems you are having. Lastly, I can do all of this in 8 minutes or less! If you want to have a TOEFL speaking practice test scored for free, click here. Find your current writing level from 0 to 30 points. Get 3-6 minutes of audio feedback so you can understand your TOEFL writing issues. I am an English professor at California State University, San Bernardino. In that role, I have graded more than 100,000 pages of writing. As a result, I can quickly diagnose your writing errors. Then in the audio and written feedback I provide, I will tell you how to improve your writing so that you can score higher. Therefore, if you are interested in submitting an independent or integrated writing practice test, click here. Let me know if you have any questions or doubts about which course will be best for you.